The Ny Takma alternate reality game, which began on September 30th, has reached a successful conclusion. It was an ARG soap opera of sorts — Bryan and Chaya, aliens which have had their love for each other transcend the boundaries of time, got back together, thanks to Kendra, who opened the Ark, releasing Chaya. John, the ladies man, tackled the two lovers, which resulted in the three of them becoming trapped inside of the Ark. This left Kendra alone and full of sadness at the fact that there is no one left here on Earth to call a family. The story elements aside, what made this endgame special for the players was the fact that they had an impact on how the final events took shape. For those interested, there is a final video update at the game’s main website. The PM’s will be having a chat in #nytakma on the Chat-Solutions IRC network tomorrow at 9pm CST (10:00 pm EST). You can access the chat room by clicking on the Chat tab at the top of the ARGNet homepage, and selecting the #nytakma room from the menu. Waiting for AV came to a frustrating end last night, leaving players wondering just what had happened and if their efforts to complete the game’s ritual were successful. This morning, players woke to learn that while they did manage to complete the final ritual, doing so resulted in the death of Shamash, a player-turned-character. Not without criticism after starting with graphic imagery and then struggling to adapt to the players, the game generated a small, tight-knit group of players who waited patiently through moments in a game that seemed as if it might end at any moment. While the end-game didn’t bust the climactic scale, the players report that they enjoyed the time that they spent together and are pleased to see such a small independent effort come to a successful conclusion. John Little, puppetmaster of the effort, has updated the Altus Veritas website with a thank you to his players, and will be participating in a Puppetmaster Chat this evening at 9pm EDT/8pm CDT in #av on irc.chat-solutions.org. Find out more information at Altus Veritas and the unforums. 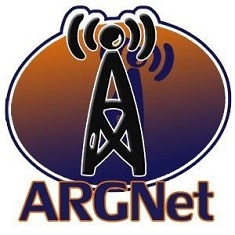 For those that would like to participate in the chat, you can use the ARGNet chat applet or connect through your favorite IRC client. The question of “Who Is Benjamin Stove?” has finally been answered after four months of intense speculation. Depending on who you ask, Ben Stove is: a tinfoil hat nut job; a teacher; a research; a shaman; an alien; hot-headed; a great guy; a man of vision; enigmatic; a scientist; a friend. In other words, just your average internet personality. Players were first introduced to the mystery of Ben Stove in the form of a painting of a crop circle. From there, they found Ben Stove’s mentor, Dr. Martinez, and obtained copies of letters written from Ben to Dr. Martinez over the years. The letters were filled with secret codes that led to libraries all over the country at the same time as they caught the eye of some mysterious Men In Black. Eventually, Ben Stove himself was found, along with his website filled with research into crop circles. His research showed players that the crop circles were a warning to the people of earth about the dangers of fossil fuels and that using alternatives, such as ethanol based products, were the way to save humanity. The Production team behind the Alternate Reality Game for the recent Canadian TV series Regenesis will be featured in an upcoming moderated IRC chat on Monday, January 31st, 2005 at 5:00pm Pacific/8:00pm Eastern. They will be fielding questions and giving a behind the scenes look at the world that’s been consuming them for the past 15 weeks. Regenesis’ final episode will air January 23rd, bringing the accompanying ARG portion to a conclusion as well. The Regenesis Extended Reality, as it was called, was developed by a team at Xenophile Media, and was groundbreaking in that it was the most extensive Alternate Reality Game that has been officially tied to a television series to date. Regenesis was a biotech thriller produced for Canada’s The Movie Network/Movie Central that premiered on October 24th. Players of the Extended Reality received emails from the game during the show’s airings, and gathered together on ingame boards at ScienceSucks.com to figure out the nefarious goings on at the North American Biotechnology Advisory Commision (NORBAC). The chat will be moderated (attendees will only be able to speak while asking questions) and is scheduled to last about an hour and a half.